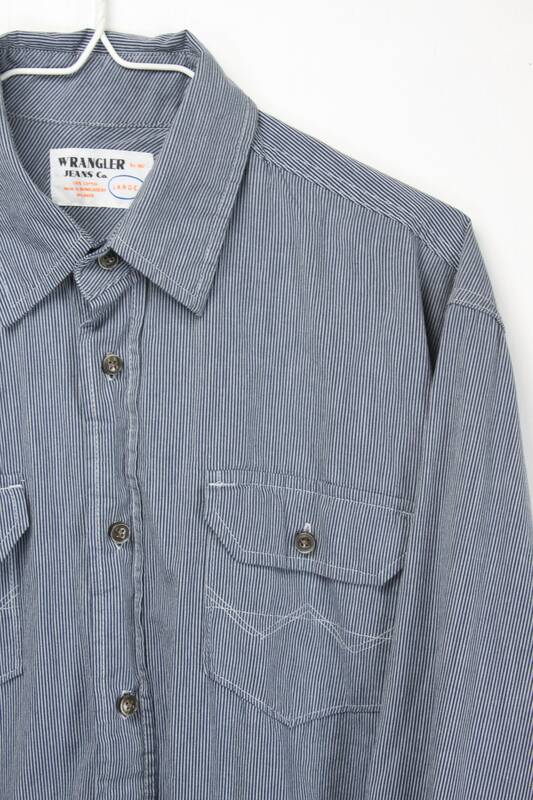 A classic by a classic! 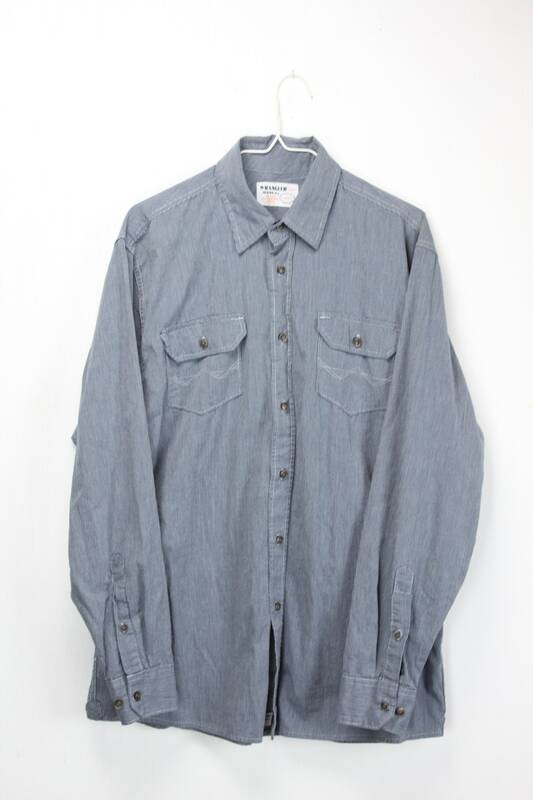 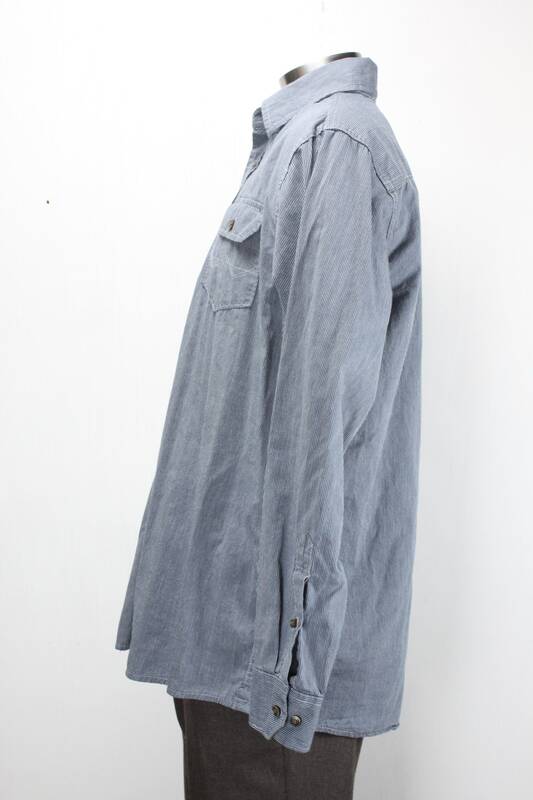 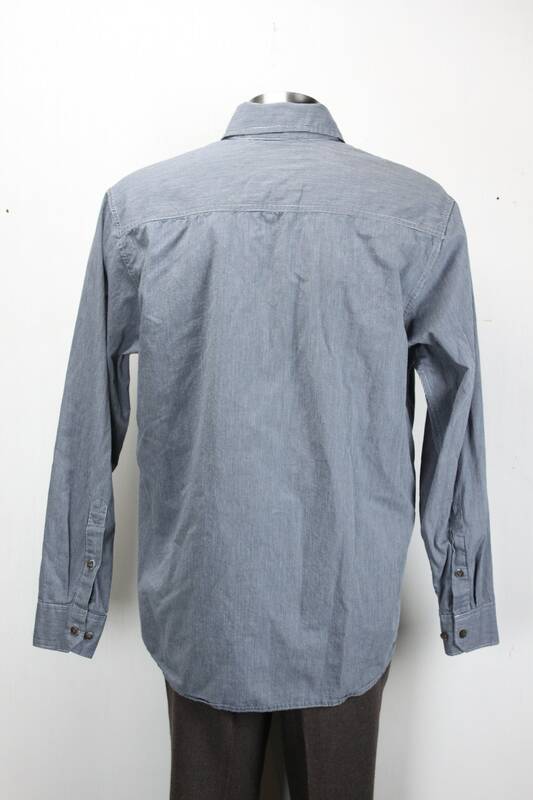 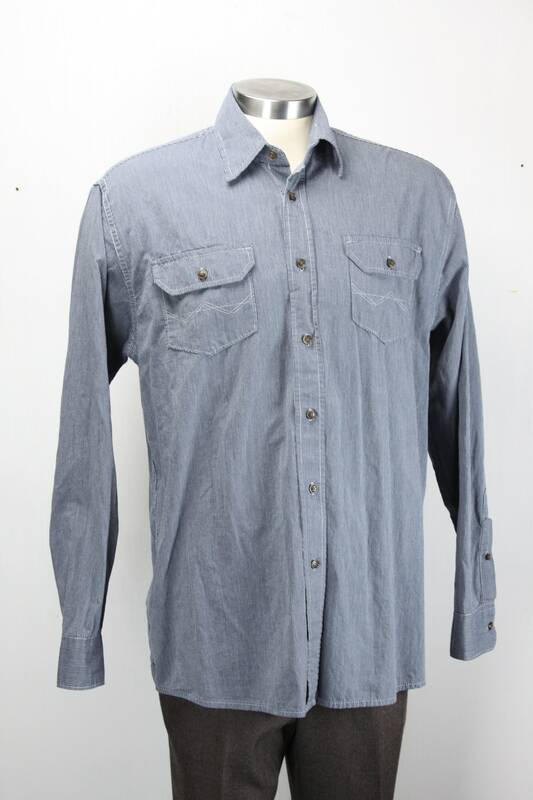 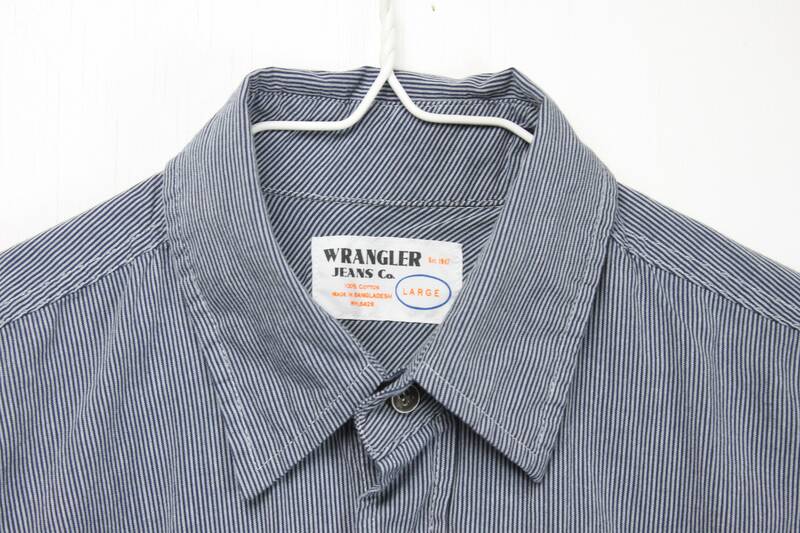 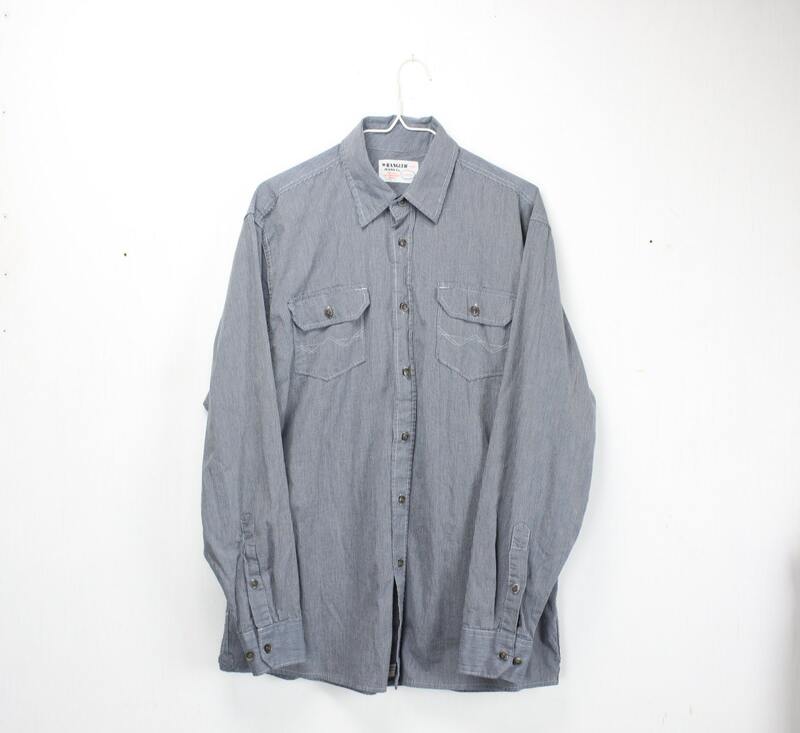 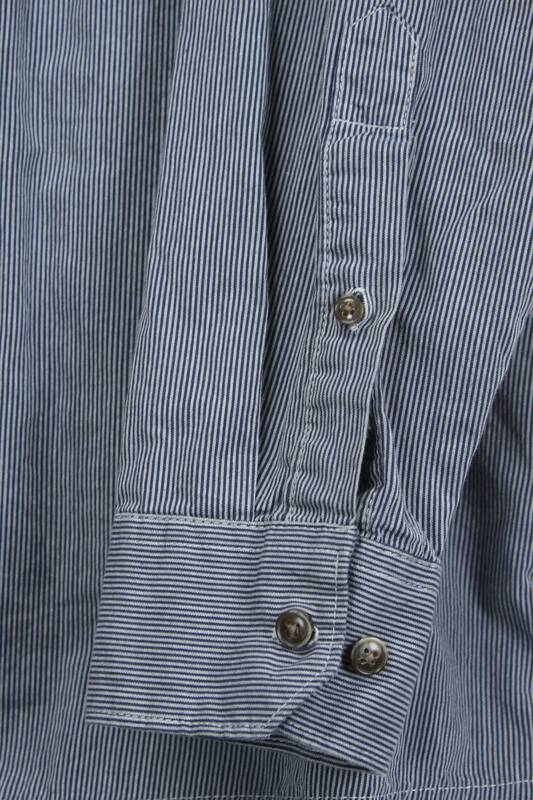 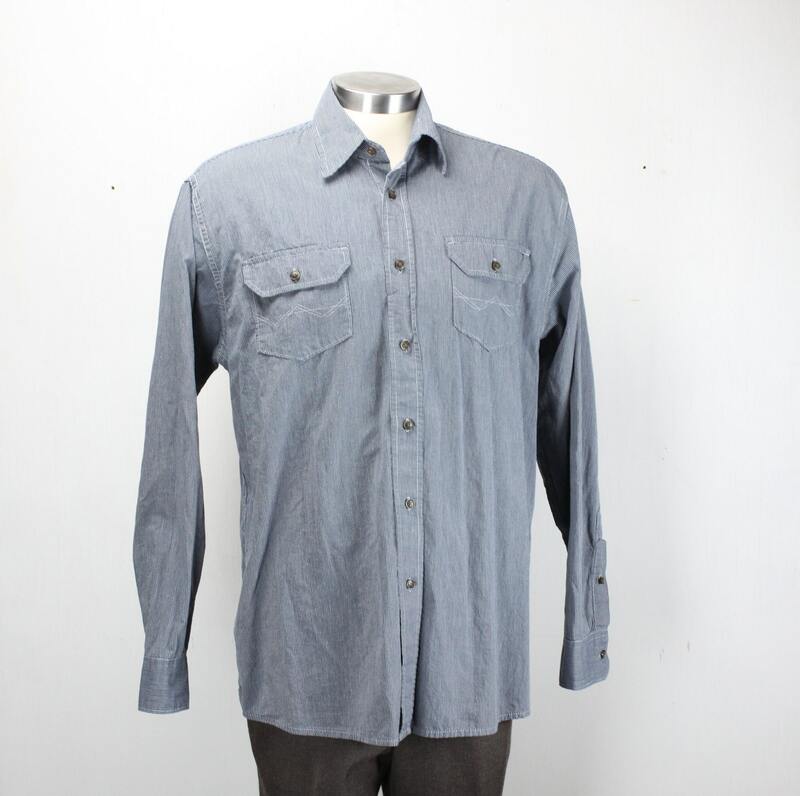 This Work wear shirt by Wrangler features a traditional Railroad era work design - The blue on light blue hairline stripes, 100% cotton construction, double breast pockets and heavy buttons all give this shirt the quality of a long lost era! 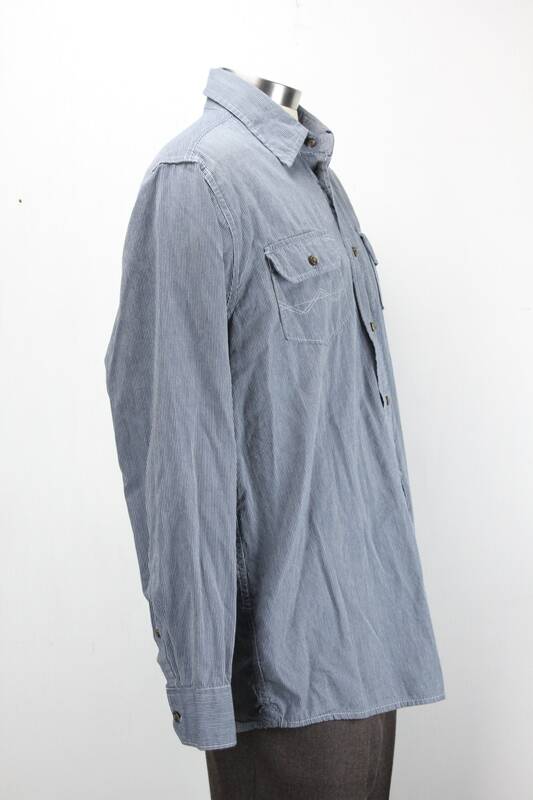 - Underarm to hem: 17"
- Neck to Hem: 32"